Welcome to Mallorca - The city of Magalluf and "ensaïmadas"
Mallorca is an island located in the Mediterranean Sea, in front of the west coast of the Iberian Peninsula. It is the biggest one of the Balearic Islands with an area larger that 3.600 km2. Well-known for its warm weather and beautiful beaches it is one of the most attractive tourist destiantions in Spain, with more than 10.1 million visitors every year. Two official languages are spoken in this island, Spanish and Mallorquin which is a dialect of catalan and it is slightly different in every village in the island. Mallorquin people, as the majority of the Spanish people, are very friendly and interested to talk to travellers from all over the world. Mallorca is popular for its beautiful beaches. We can find a wide range of diversity, from the most touristic beaches to the little and wildest ones. One of the most well-known is Magalluf Beach that attracts the youngest and mainly the foreign tourists. The Playa de Palma, known popularly as the German capital, is in the capital of the island and is usually the busiest destination in Mallorca. 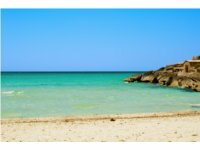 But if you are looking for a beach with a familiar and peaceful enviroment, Es Trenc Beach is your perfect option with more than two quilometres of white sand and crystalline water. The most disctintive monument in Mallorca is the "Catedral de la Seu" located in the capital of the island, Palma de Mallorca. This amazing building was constructed between the 14th and 17th centuries and its mainly Gothic Roman Catholic. Later, in 1901 it was restored by Antoni Gaudí one of the famoust architects in Spanish history. It is possible to visit the cathedral for free every day of the year. There are two montanous regions in the island of Mallorca. Serra de Tramuntana is the most spectacular one and since 2011, its landscape is part of the UNESCO World Heritage Site. Going for a walk, having a picnic or going for a bicycle ride are some of the activities that you can practice there. Perhaps one of the musts when you visit Mallorca is to enjoy a sunset in Cap de Formentor, the nothern point in the island. The high and vertiginous cliffs make the landscape so spectacular. In the center of Palma de Mallorca you can find the busiest commercial area in all the island. Located here is a combination of the most international brands, like Zara, and the little craft shops that offer the most tipical products of Mallorca, for example the delicious "ensaïmadas". In the west side of the island, there is a little village called Deià where you can find a passage with little craft shops. The most typical products are artesanal ceramics with lovely and unique designs. Majorica is one of the most famous pearl manufacturers and it was founded by Eduard Heusch in Mallorca. There are two boutiques in the capital Palma de Mallorca. Mallorca is the island that never sleeps. There are many options to go out at night. The most glamorous night clubs in the island are in the Paseo Maritimo in Palma de Mallorca; Titos Club, Pacha Mallorca and Byobu Club are very popular and are characterized for a sophisticated and smart atmsophere. You can also go to one of the many traiditonal Spanish bars and eat "tapas" and drink a glass of wine while enjoying a show of "sevillanas". The climate of Mallorca is a mediterranean climate with sunny and warm summers and mild winters. During the summer months the average temperature ranges between 25°C and 30°C. This island is the paradise for the lovers of sun and hot weather. We don't charge additional booking fees or card transaction fees. The price you see is the price you pay! Best price promise. If you find it cheaper elsewhere contact us and we'll do our best to beat it! We value your privacy. Your details are used only to confirm your booking. We don't sell or share your personal details with any third party.